Raw choc blackberry cake recipe | oh it's good! 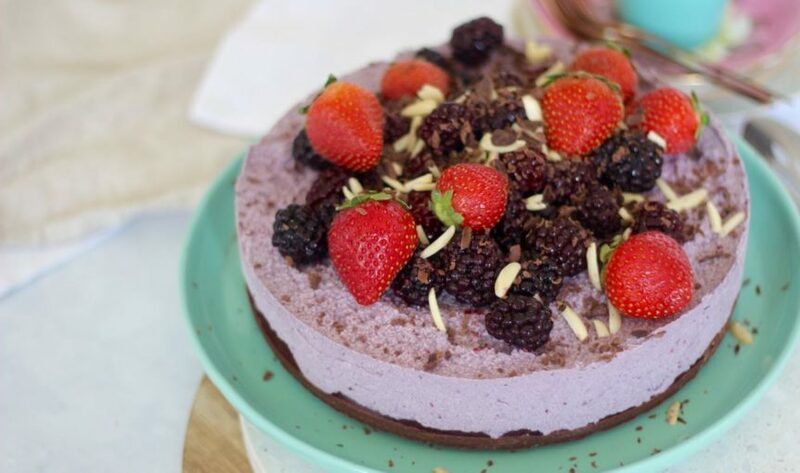 Raw choc blackberry cake recipe | oh it’s good! Yes. We made raw choc blackberry cake and it’s going to blow your taste buds socks off. This amazing recipe is brought to you by Supabarn. They have everything you need to stock up your healthy kitchen! 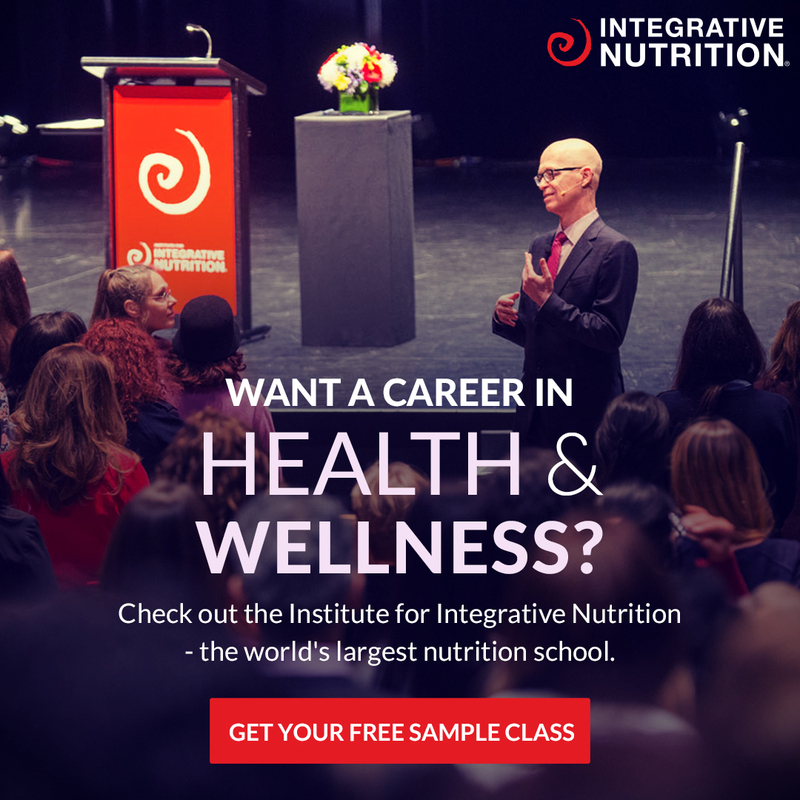 You will definitely enjoy getting lost in their health food section (they have EVERYTHING!). We love going back to Canberra to visit, stocking up on all our pantry supplies and filling a suitcase to bring back up to the Gold Coast (seriously… we do this! We’re gonna do it next week actually! Yay Canberra!). Hello blackberries. Like blackberries are SO underrated. Put them in a cake already! It’s pretty. And let’s all admit, we eat with our eyes first. It’s easy. Like seriously whack all the ingredients in a blender kinda easy, whiz, bang, YUM. We made it with our friend Cate, and so we love it that little bit more. You can swap blackberries (why would you) to any other fruit and this cake will still turn out epicly. 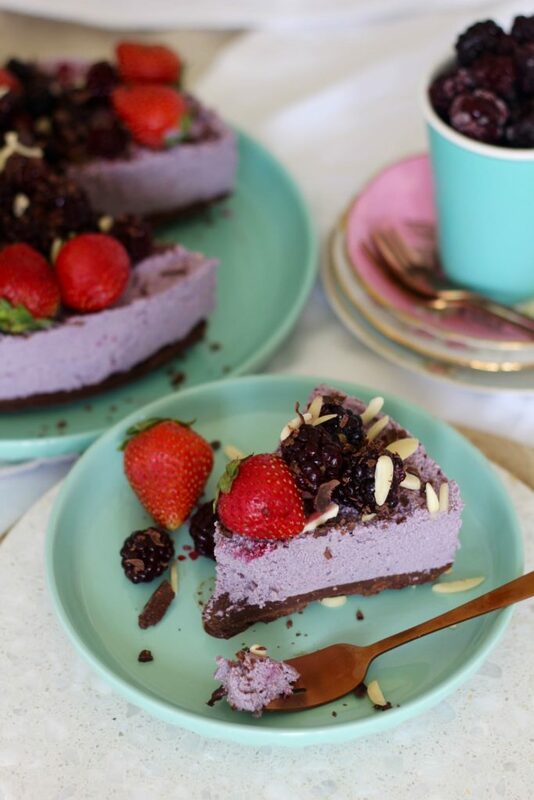 We could go on but do you seriously need any more reasons to make this raw choc blackberry cake? Nope. Didn’t think so. Get on it and then share your epic pics with us on social media! 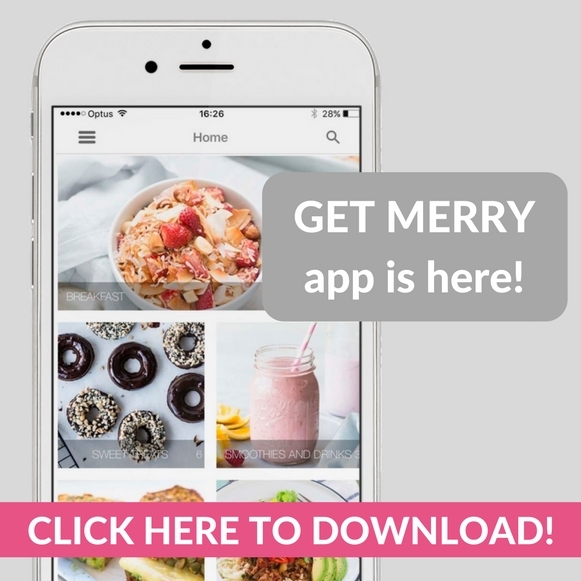 Use #GetMerry so we don’t miss seeing your delightful creations. P.s if you’re keen to collab with us like the amazing Supabarn team, get in touch! We’d love to hear from you! Line a 24 cm (10 inch) spring-form cake tin with baking paper. Place all the base ingredients in to a food processor or blender. Whiz until well combined, it will become a smooth butter. Yum! Spread the mix in to the prepared tin, shake it a little to ensure it is even. Let’s get onto the filling! No need to wash the blender, simply add all the filling ingredients and whiz until super smooth. Pour the blackberry filling on top of the base layer, shake to even out and place back into the freezer for 2 hours or until set (you can also leave overnight). Once set, carefully release the springform and place cake onto a serving plate. Decorate with extra berries, almonds and chocolate! Slice with a hot knife and enjoy! If you're not eating it all at once, store in an airtight container in the freezer pre-sliced. That way you can thaw out separate slices when ready to enjoy!